Ultimate Daily Liver Detox Ultimate Saver Buy 2, Get 1 FREE! Ultimate Daily Liver Detox Ultimate Saver Buy 2, Get 1 FREE! has been added successfully to your wishlist. SunDita® Ultimate Daily Liver Cleanse is a dietary supplement that contains four powerful liver-supporting ingredients. Designed to assist your body’s natural detoxification process and help stimulate bile production, a natural fluid produced by the body that aids in the digestion of fats. The flavonoid components of silymarin and artichoke help neutralize free radicals and promote liver cell health. 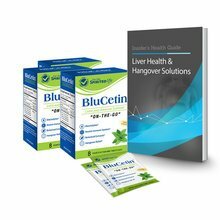 N-Acetyl-l-Cysteine (NAC) offers protection and support for the liver from toxins by supporting the production of the body’s natural antioxidant glutathione. 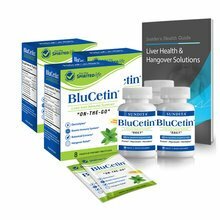 The combination of these synergistic ingredients is designed to help cleanse the liver and offer protection against the impact of everyday toxins, poor diet choices, and lifestyle stressors. Silymarin is a chemical found in milk thistle, which promotes the regeneration of liver cells and increases solubility of bile. The increased solubility of bile helps prevent and treat gallstones. Dandellion root is effective as a detoxifying herb, working on the liver and gallbladder to remove waste. It may help gallbladder problems and help dissolve gallstones. Artichoke extract helps break down fat and improve bile flow. N-Acetyl-L-Cysteine (NAC) is a precursor of the anti-oxidant glutathione. Glutathione is known to detoxify medications and chemicals. Suggested Use: Take 1 capsule two times daily with food or water. 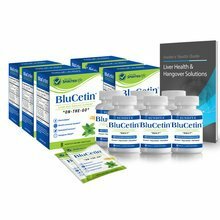 BluCetin 180 Day Supply View Sale! 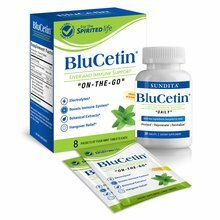 BluCetin 90 Day Supply View Sale! BluCetin Spirited Lifestyle View Sale!